The Reference Services Unit operates the Research Room and answers mail, telephone and e-mail queries concerning the records in our care. 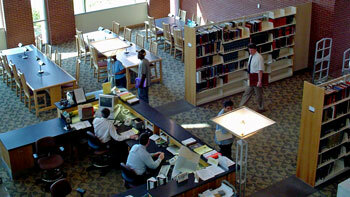 We encourage genealogists, scholars, students, lawyers, state agencies and the general public to use our Research Room. Your investigations will be speedier and easier with the help of our staff. The Research Room contains - a small research library; indexes to state and local records; microfilm of many federal, state, and local documents; computers; microfilm readers; and Xerox and microfilm copy machines. Wireless internet access is provided.